The Klipsch R-5650-W II maintains the core technology use of a premium 1” Titanium compression driver (tweeter) mated to an exclusive Tractrix Horn combined with a 6.5” Cerametallic woofer in a 2-way design. Now with a new low-profile, more elegant grill and refinements to both high frequency and low frequency reproduction, it continues as a high-performance choice for everything from 2-channel music playback to full, large room surround sound use. The solid Aluminum diaphragm, anodized to add stiffness and provide perfect damping, has a new hi-tech look that also delivers increased rigidity for even tighter, more defined bass. The new integrated dust cap further strengthens the cone and helps ventilate the voice coil for increased driver durability. 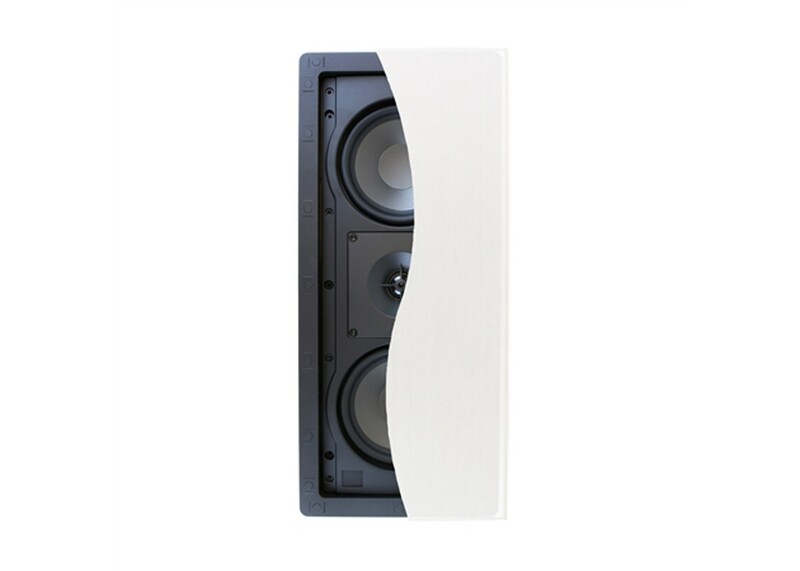 Allows reduction of high and/or low frequency output in challenging install applications such as overly reflective rooms or corner placement, allowing a better frequency balance. For meeting building codes and/or reduction of transferred sound between rooms.